Get ready for an adventure with the Ty Fashion Kiki the cat Backpack. 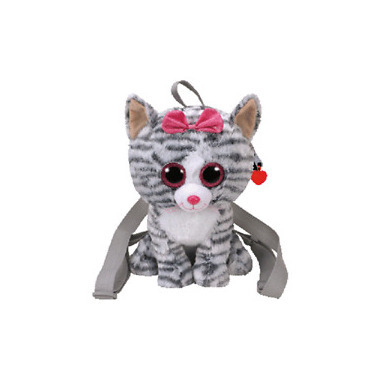 Collectible plushie backpack with adjustable straps featuring your favorite Ty animal. I bought this as a gift. Extremely cute but the reason I gave it a 4 star was because the storage room inside the bag was extremely small, no room for anything. So itâ€™s not good for carrying a lot of things in but great for fashion.